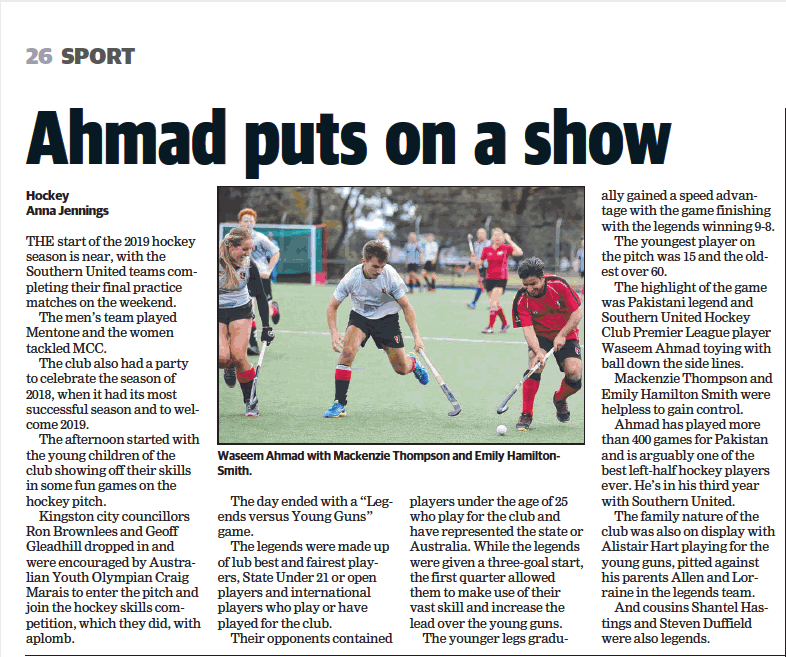 THE start of the 2019 hockey season is near, with the Southern United teams completing their final practice matches on the weekend. The men’s team played Mentone and the women tackled MCC. The club also had a party to celebrate the season of 2018, when it had its most successful season and to welcome 2019. The afternoon started with the young children of the club showing off their skills in some fun games on the hockey pitch.